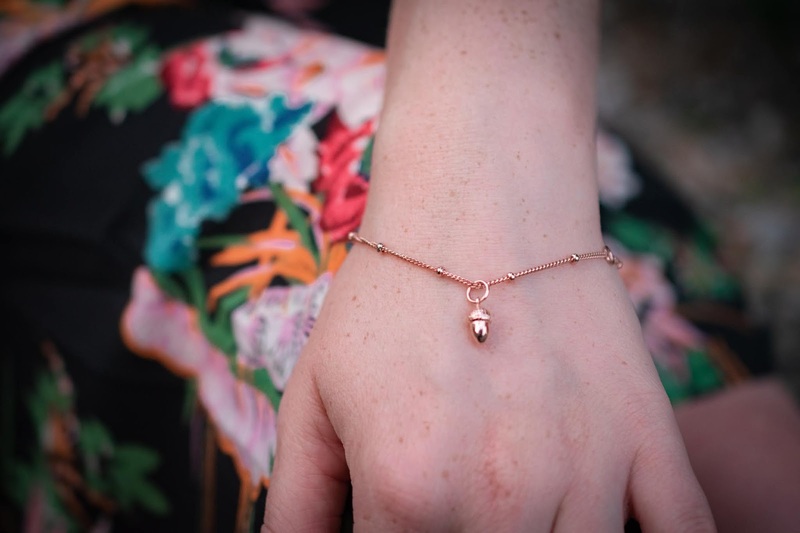 Designed in London, Muru Jewellery is all handmade and their designs of bracelets, necklaces, earrings and rings all come in various finishes including gold, rose gold and silver. 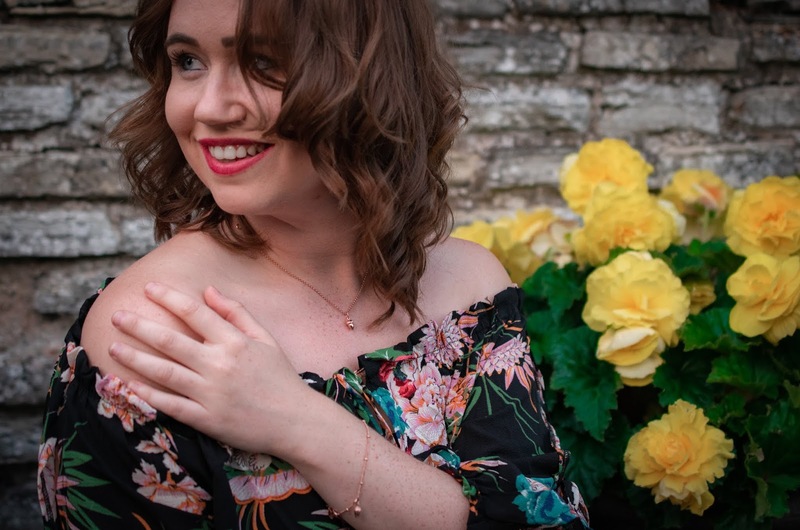 Each piece of jewellery has a unique meaning designed to inspire and make it a more thoughtful and personal gift, rather perfect timing with Christmas just over three months away! On this occasion I was lucky enough to be able to treat myself to some new jewellery from Muru. 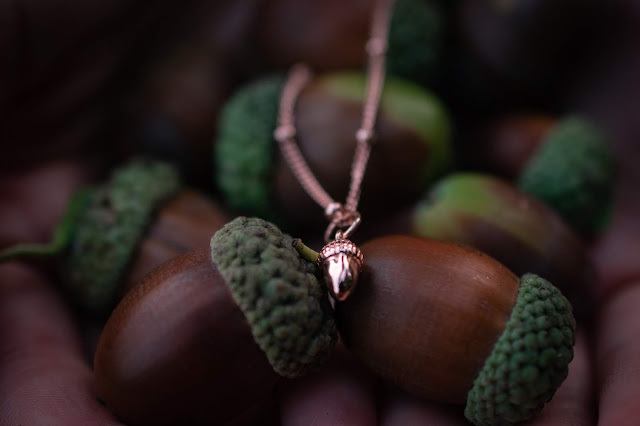 I knew straight away I wanted rose gold as it's my favourite but the design that caught my eye was the acorn which to me just accentuates autumn. Part of the new beginnings collection and the perfect gift for a loved one beginning a new journey. 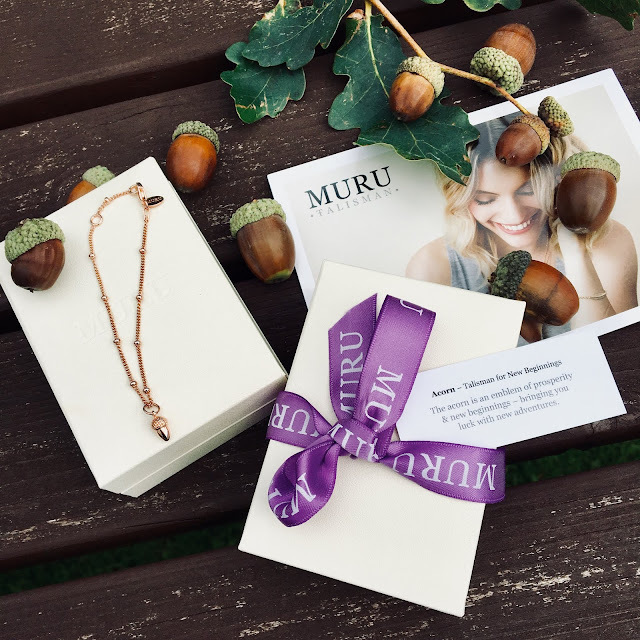 When my pieces of Muru Jewellery arrived, I was immediately in love with the luxury packaging and then once I opened them up the dainty acorn design was even more stunning in real life and really high quality jewellery that I can really treasure. Also inside the packaging was a thoughtful Talisman meaning card. The acorn means: an emblem of prosperity & new beginnings – bringing you luck with new adventures. Although I am not embarking on a new adventure right now myself but as one of my favourite quotes says: “The biggest and grandest adventure in life is life itself" and isn't Autumn the perfect time for new adventures?! 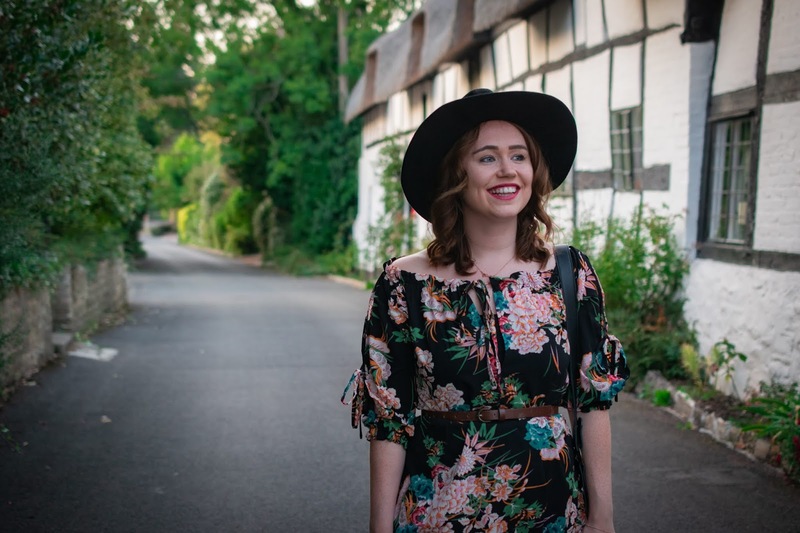 To go with my beautiful rose gold jewellery I had to get a new outfit to compliment! Well that's my excuse anyway... 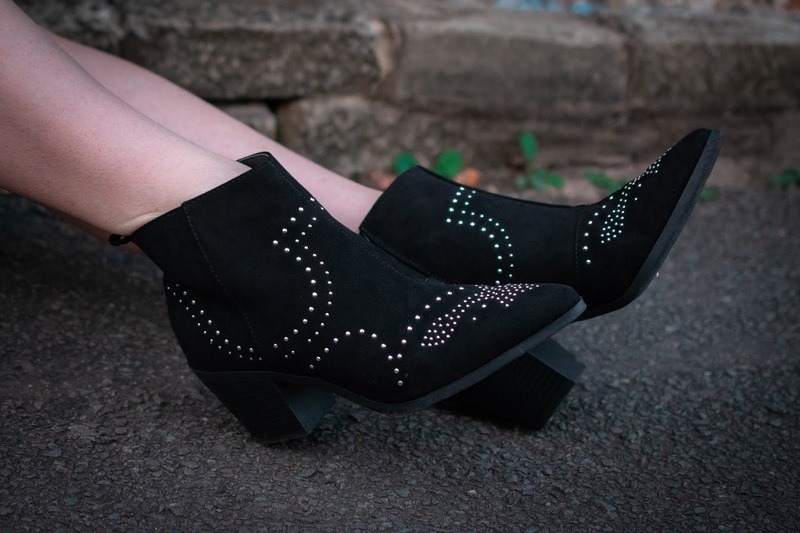 I had a boho look in mind for the autumn shoot with a floppy hat and ankle boots and I managed to find all of this online! 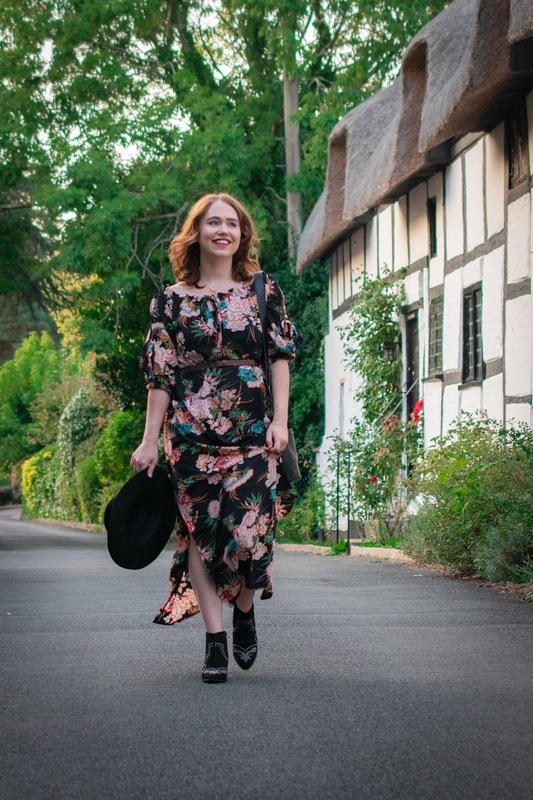 For the dress I visited Nasty Gal who had the most gorgeous boho style floral dress for £15. 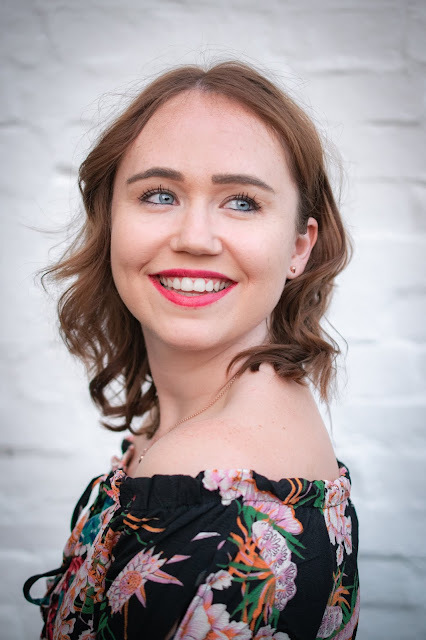 The off-the-shoulder dress has a relaxed fit but I cinched in my waist with a belt, maxi silhouette, three quarter sleeves, and also a daring slit at the side which was fun to photograph! To go with the dress I went to one of my favourite brands ASOS who had some New Look western ankle boots (£13) and a hat both reduced aswell. 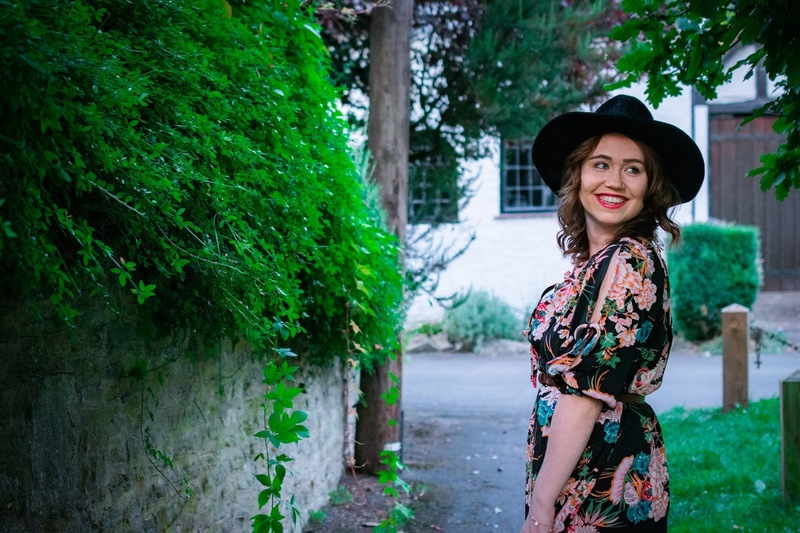 The location for the shoot also had actual acorns to match! 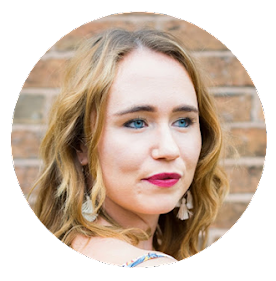 Do you have a favourite jewellery piece? I'm not much of a jewelry person. My favorite pieces of jewelry tend to be bracelets.